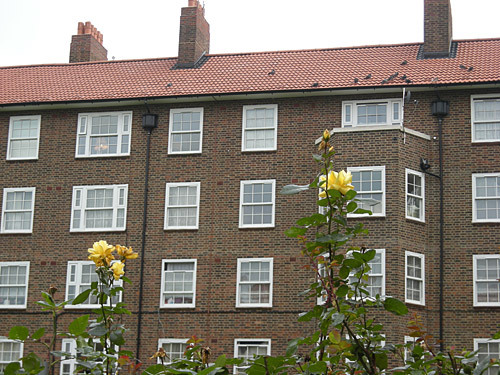 The Unwin and Friary Estate is nice place to live. 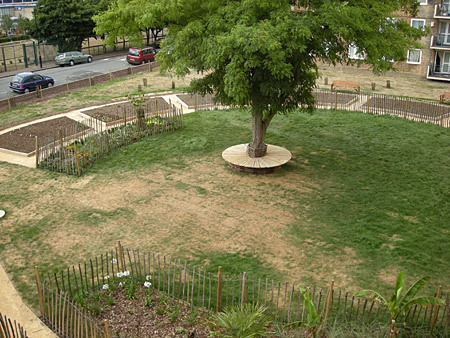 It has green spaces, proud and committed residents. We have achieved a considerable amount under Council Management. 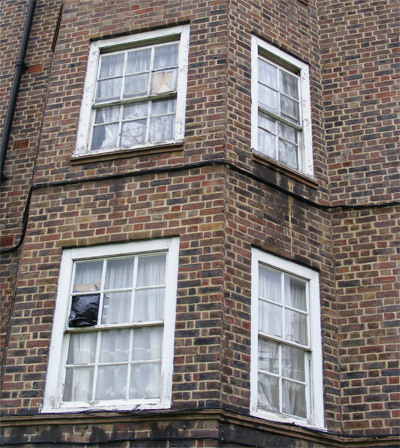 In 2007-2008 a group of residents campaigned for better windows for the Old Friary during the Major Works project to upgrade the estate. 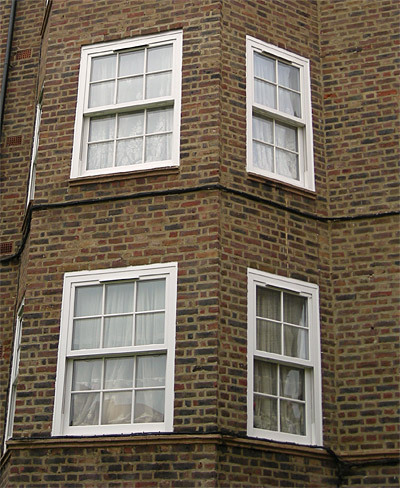 It was a long and unnecessarily difficult campaign, hampered by the Chair of the TMO (Michael Orey - real name Michael Oreyomi) who initially sided with the residents, then for no apparent reason, campaigned against the improved windows. 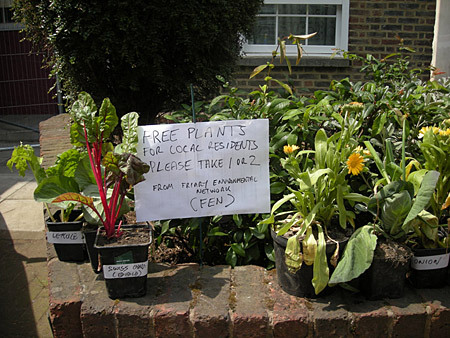 On 14th April 2008 in a Special Planning Committee Meeting composed of five councillors, the final presentation, led by residents Naomi Dines and Julian Jackson, was unanimously approved by the councillors. The objections by Michael Orey/Oreyomi were rejected. 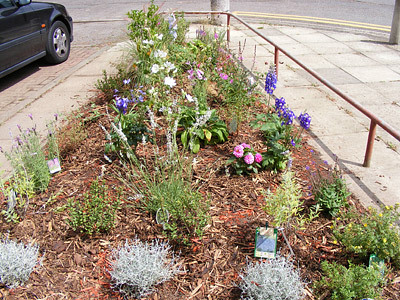 Several gardens have been planted by residents, including this one which was created by adults and children from Reading, Lynn and Lewes houses, with a little money from the council. 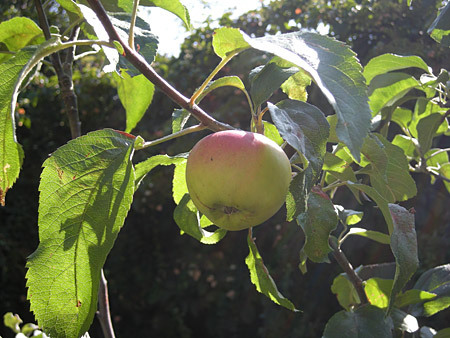 Various trees and other plants have been put in around the estate to brighten our environment. This is new and it is not finished yet. 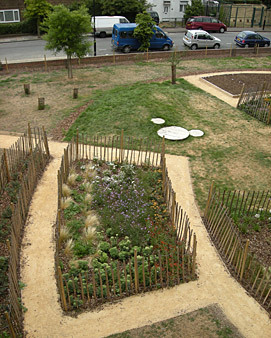 The plants will flourish in years to come, providing a pleasant space for adults to relax and children to play. It was created with help of the Council's Cleaner, Greener, Safer fund. 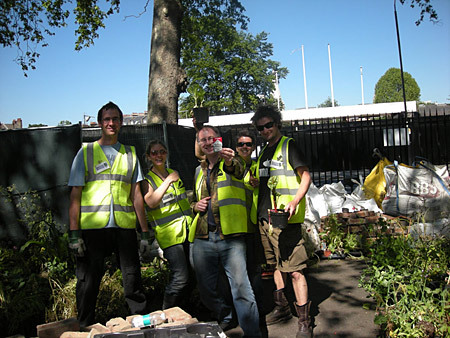 In May 2010 volunteers from Southwark, including residents from the estate helped dismantle Chelsea Flower show. 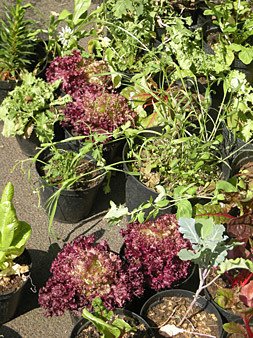 We gave away huge quantities of flowers, vegetables, other plants, gardening materials and even trees to schools and community groups for free. 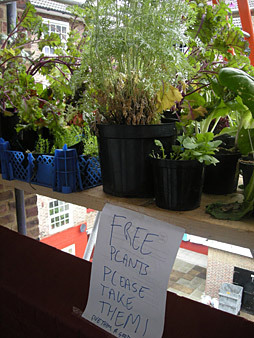 There were so many plants that we gave lots away to local communities around the estate. We are hoping to do this again in 2011.